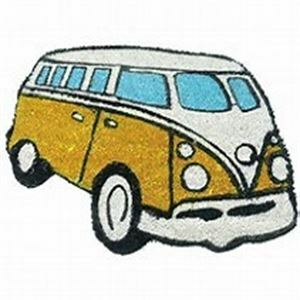 VW Campervan inspired Doormat for indoor or outdoor use. Fun and quirky way to greet your guests. Orange and Blue in Colour. Dimensions of doormat 64 x 49cm.